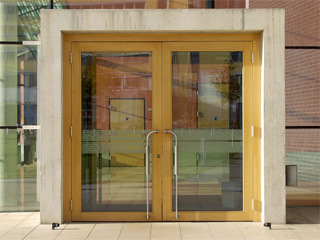 Norman Doors are doors that are, within Do Norman’s circle, poorly designed doors. 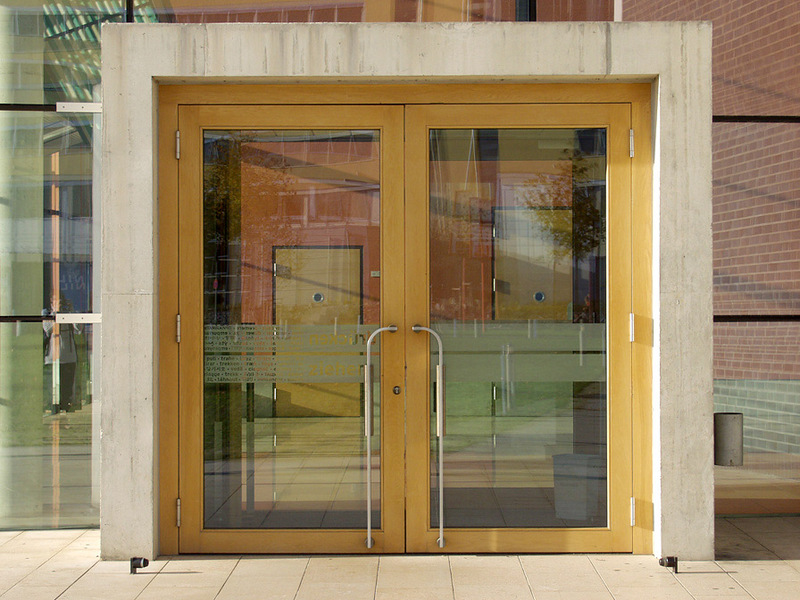 The Glass Door in question is a doors that only open in one direction, but identical looking “pull” handles were installed on both sides of the door, making it extremely unclear as to push or pull the door open. 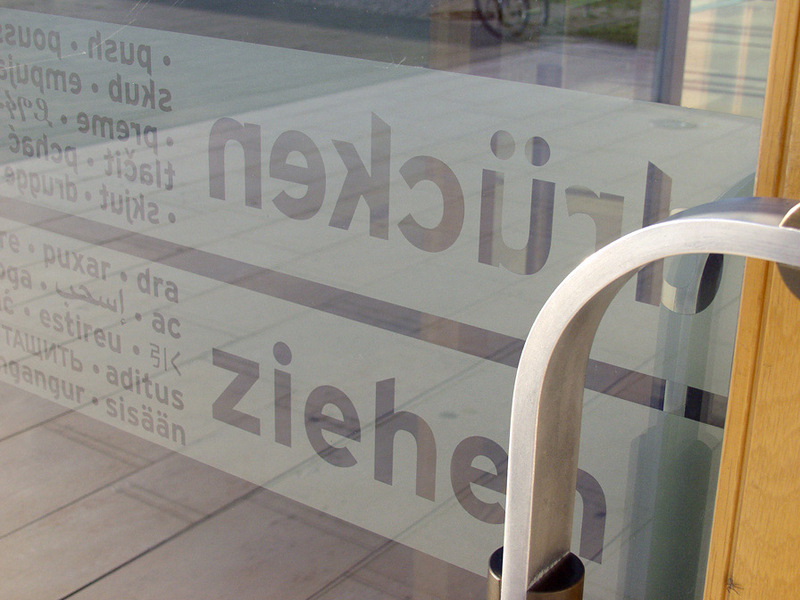 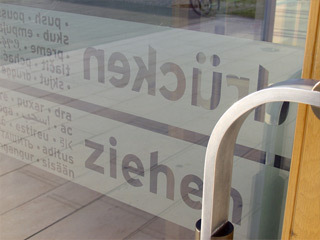 The words pull and push are etched into each side of the door in several languages, meaning the user can read both – adding to the confusing experience of how to open the door.